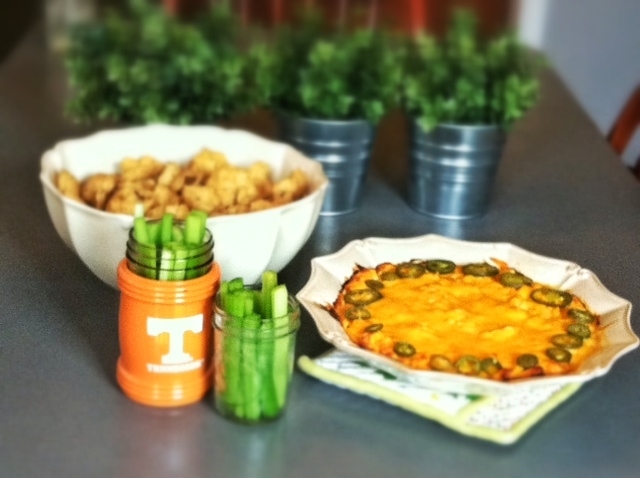 Last weekend the anticipation of spending the whole day watching football, had me Jones-in for a game time appetizer. 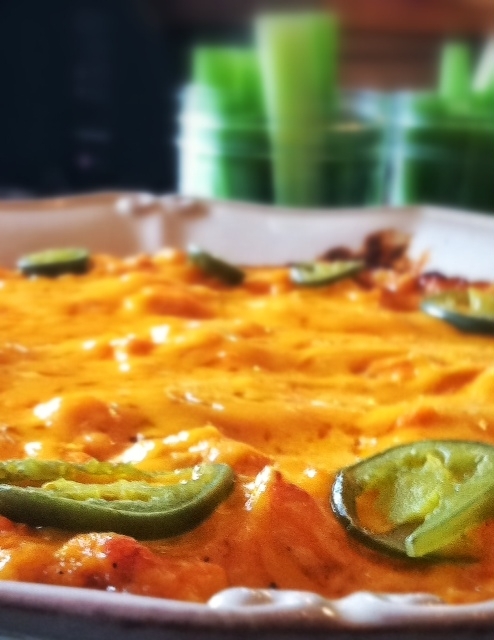 You see, I’m a fan of spicy food so I have tried a lot of Buffalo Chicken Dips in my day and this one reigns supreme. A friend of mine (Hello Amber!) made it for a work function and I have been looking for a reason to make it ever since. Forget the recipes that call for boiled or canned chicken, this recipe’s roasted chicken makes all the difference. 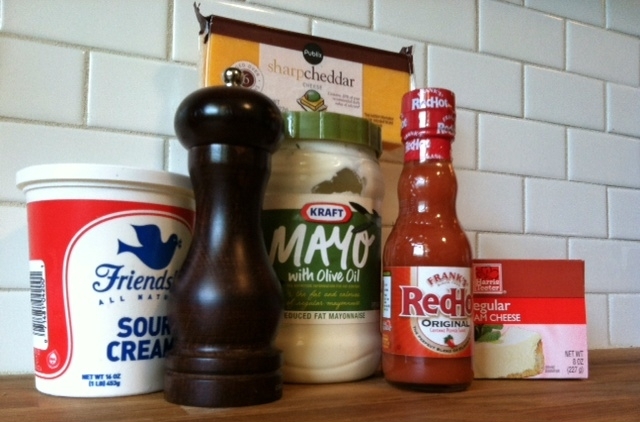 Here are the other ingredients. And when a whole bottle of hot sauce isn’t enough? Add Jalapenos! Some UT fan I know slid this guy in for a photo op. Sneaky. 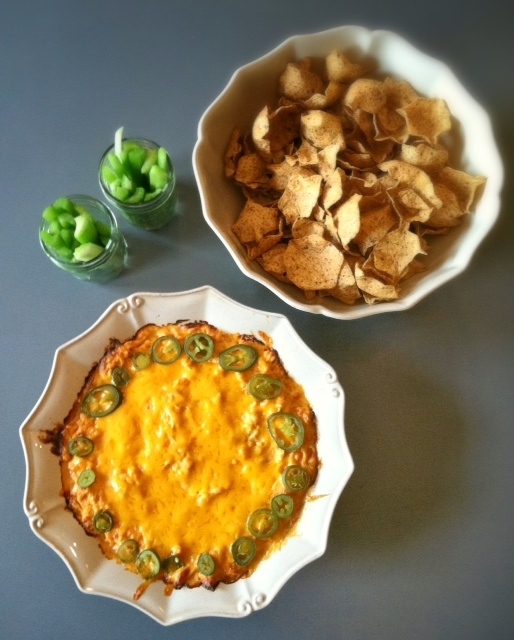 Serve with tortilla chips and cold celery. This recipe makes a large portion. Or sometimes 4 people eat it all. I’m not saying I know those people but I bet it happens. Shred chicken in large bowl. Mix in mayo, sour cream, cream cheese and 1/3 of the shredded cheddar until smooth. Mix in wing sauce to taste, add more or less depending on desired spiciness . Spray a 8×8 or larger glass or ceramic dish with cooking spray and fill with the dip. Bake at 350 degrees for approx 30 minutes. 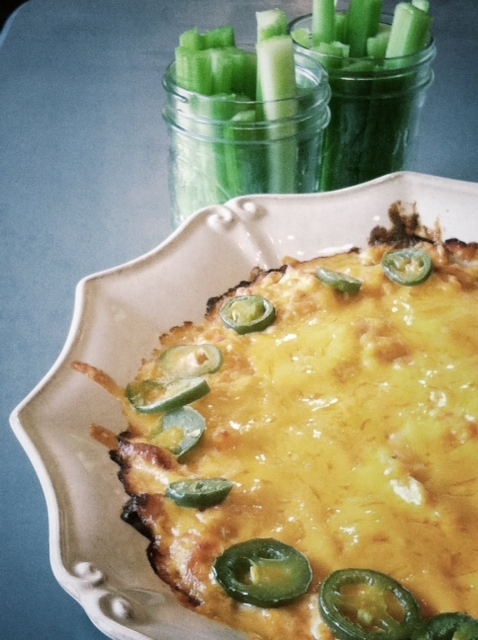 Sprinkle the last of cheddar on top and line with jalapenos (if using) and cook until melted and bubbly. WHAT IS YOUR FAVORITE SNACK WHILE WATCHING THE GAME? I also love the old trusty 7 layer dip. This stuff is the best! I could eat it for dinner on a Tuesday.